Today I want to talk about why you will never be able to sleep again, if you are only looking at “Sleep” as your problem. This might sound counterintuitive because, obviously you're not sleeping, so it would make sense to just google 'How do I sleep again', to buy books that tell you about sleep science, what sleep is doing. Maybe they also tell you about bedtime routine, about sleep hygiene, meaning what can you do in order to sleep better before going to bed. Maybe even during the day. But I am telling you here, that that is not going to help. If you are someone, who has had chronic sleep issues, who's already tried pretty much everything that you can think of and you want to sleep, but you can't, especially if you're lying awake at night, your body is tired and yet there's still a buzz inside that is keeping you awake then those books, articles etc will not cut it. The first thing that we're going to talk about today is hormones. If nobody's talked about your hormones before, whenever you went to see someone to help you with your sleep, then that was their first mistake. I can see that with my clients over and over again. As soon as they have a hormone imbalance, sleep is one of the first things that goes out of the window. For more info check out my awesome course! How do we get a hormone imbalance? It can just be because of our age, especially with women. Obviously we're talking premenopausal, menopause and our cycles. But most of the time, we also have to remember that the stress hormone cortisol is a reason for hormone imbalance too and we tend to not really understand that. A lot of the time when we talk about stress, we think it's just what is going on in our head. The deadlines we have, the work we have, our relationships. Sometimes we also consider accidents or something similar; where we know that our body is affected. Whenever we have any of those other emotional forms of stress, even if we think they are just affecting our mind and our thoughts, they are actually affecting our body too. Our body response to stress with giving us cortisol, in order to cope and it means well, but cortisol is a catabolic hormone. It's the hormone that brings a lot of dysfunction, if it's there for too long. If nobody has ever asked you about your hormone levels; if nobody has ever looked at how you hormones are converting inside of your body, that was their first mistake, but it's your first step to getting back to sleep. Hormones are crucial. I especially see difficulties with estrogen and testosterone hormones that are out of whack and progesterone. Those are three hormones that I definitely always look at and then of course cortisol and melatonin. The second element that people don't look at, and if nobody asked you that before, then they haven't done their job, is your thyroid. 90% of my clients have an under function or an over function of their thyroid. A quick disclaimer: I know that a lot of them had their thyroid checked and they were told everything is fine. Very quick side note to this. When you get your thyroids checked in a lab, the ranges are a statistic, which means that they look at numbers that people have when they go to a lab. It's not necessarily the healthiest population that is going there. The ranges are very often from just about not being completely sick, but it's not the healthy range and I want you to be healthy. My ranges that I look at and the functional diagnostic medicine is looking at, is a much shorter one. If your thyroid is out of balance, sleep is one of the first things to go for many people. If nobody has asked you about your thyroid levels yet, they haven't done their job. Number one is hormones, number two is thyroid health, and I'm talking TSH, T4, T3, reverse T3 and your antibodies. I'm going to talk more about how you can check those later. Very often we have parasites and bacteria that are coming to take place and they create massive havoc. I always suggest to get the parasites and bacteria check done and I would recon 70% of my clients test positive for one of those and when we get rid of those, it's not just sleep that's coming back, it's also migraines that get better. Everything like weight loss, all kinds of things happen. If nobody has asked you about this, they haven't looked at sleep in a holistic manner, so it might not be a head thing. It really might be something in your gut. Number four would be your nutrition and that is something that a lot of people have already looked at. They know that they shouldn't eat too late. They know that they shouldn't drink coffee, maybe not drink too much alcohol before going to bed. But nutrition is really when someone is looking at what you eat and they evaluated how your blood sugar levels are basically influenced through your food. When you eat something, sugar is going to be released into your bloodstream and depending on what it is; it's going to be a quicker release or a slower release. What we want, is a slow release of blood sugar so that your insulin is not having too much of a hard time, because the byproduct of insulin is again cortisol. We don't want to have blood sugar spike like this. We wanted a nice even way of giving you energy gradually and nicely balanced and also not giving you energy in the middle of the night when it's not needed. We don't want your curve to go up in the middle of the night. Food choices are super important. Food sensitivities are incredibly important, because if your trigger sensitivities, it's going to create an inflammation and again it's going to create cortisol and adrenaline spikes. Those are important and the third thing that belongs to nutrition is your minerals and vitamins. 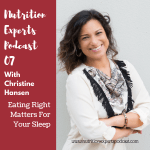 We had hormones, thyroid, gut, nutrition and lastly, sleep foundations and they need to be in place. Going to sleep is not flicking on a on and off switch. 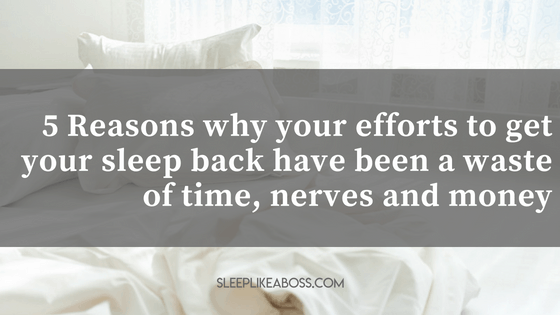 It takes some time and for some of you it's going to take longer; but your sleep foundations, are not going to be enough if you have chronic sleep issues. They have to be in place, but they are not going to be enough. They are essential. 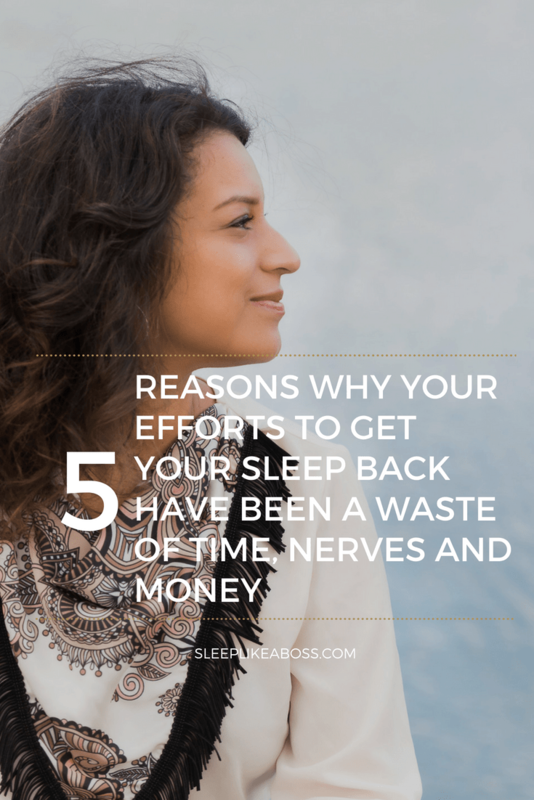 Hormones, the thyroid, gut health, nutrition and the sleep foundations are the five elements that I look at in my five step sleep like a boss process. I'm interested to hear, if you've ever asked someone to help you with your sleep, did they look at all five of those categories? Did they help you to find a test, to really figure out what's going on inside of your body? Did they understand that sleep is not a standalone element, but that is connected and that it's not enough to just look at your head or to just look at your body? It's the two. You need to have your mind help relax in order to get less stress into your body; but you also need your body to be healthy and well supported in order to digest stress that is occurring to you much easier. The five steps again are: hormones, thyroid, gut health, nutrition and sleep foundations. If you haven't looked at all five of those, then you've most likely missed at least one connection to your sleep. 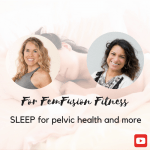 I'm going to publish my new course, the five steps sleep like a boss master class series on 2nd July. They are five video lessons with tons and tons of material. Let me know which one of these elements you have not looked at and what would a question be that you would have for me in order for me to help you in those five categories. I would love to help. Let me know, have you looked at those five categories? If not, then tell me why or tell me where you would like to start and I can already give you a pointer. If you haven't checked out my free video series yet, then do.